The publisher of Michael Wolff's new book "Fire and Fury: Inside the Trump White House" can't print copies fast enough. Henry Holt is facing a backlog of orders from Amazon, Barnes & Noble and other booksellers. The publishing house is rushing to print more books, a person with direct knowledge of the matter told CNNMoney. A Henry Holt spokeswoman said sales figures are not yet available for "Fire and Fury." But it has been No. 1 on Amazon's best sellers list since Wednesday, when the first excerpts from the book were published online. The e-book edition is available anytime, of course -- it's the hardcover deliveries that are delayed. Amazon is warning customers of a "2 to 4 week" wait, although copies could ship sooner if the printing schedule allows it. From coast to coast, bookstores have been reportedly selling out of the book, if they had any copies in the first place. For starters, the book originally wasn't even supposed to be on sale until Tuesday. After the book's stunning claims about President Trump's competency began to leak out, Trump tried to stop publication with a cease-and-desist letter. Henry Holt then moved up the release date by four days. While stores were allowed to begin selling the book Friday, some didn't receive shipments in time. Some stores have resorted to setting up wait lists for antsy customers who would prefer the print edition instead of an e-book. In newsrooms, too, "Fire and Fury" is a hot commodity. Some journalists have been sharing copies with each other. There also appears to be an emerging piracy problem. Social media commenters say they have seen illegal digital copies of the book making the rounds. Book publishing is very much an art, not a science, and companies make educated guesses about how much demand there will be for every new release. Some observers are now second-guessing Henry Holt's decisions. They surmise that the publisher underestimated just how much interest there would be. "It's bad. Very bad," Ron Charles, the editor of the Washington Post's Book World section, said Saturday on Twitter. Charles cited the Amazon delay and said that "two weeks is an eternity in this scandal-an-hour era." "To be fair," he added, "book sales are very hard to predict in advance." It's bad. Very bad. Two weeks is an eternity in this scandal-an-hour era. Perhaps Wolff should use that time to add updates and an appendix. According to the publishing source who told CNNMoney of Henry Holt's rush to print more copies, there were multiple printings of the book in advance, even before the early release. That's because Henry Holt knew Wolff's reporting was explosive. On Sunday, the Barnes & Noble website promoted the book as "the political expose everyone is talking about." But it listed a two-week delay in hardcover deliveries. Perhaps no one could have expected the White House to provide so much fuel for Wolff's "Fire and Fury" promotional tour. Press Secretary Sarah Sanders' criticisms of the book, Trump's tweets about it and the cease-and-desist letter all stirred even more interest in the book. Sanders said Thursday that Americans "probably could care less about a book full of lying." That claim is contradicted by all the sold-out signs at bookstores. 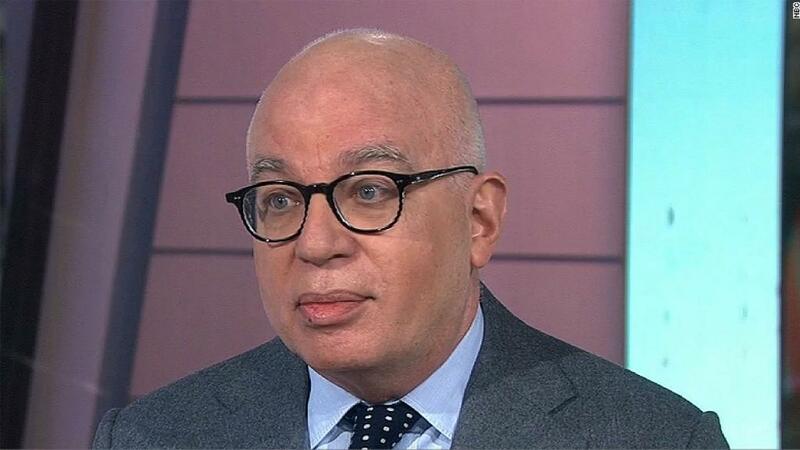 And Wolff is just beginning his TV tour to promote the book, meaning there are many days of headlines still to come. Wolff appeared on NBC's "Meet the Press" on Sunday and said "this is 25th Amendment kind of stuff." The amendment establishes procedures for replacing the President or Vice President in the event of death, removal, resignation or incapacitation. "Meet the Press" host Chuck Todd asked: "Did people in the West Wing bring that up to you?" "All the time," Wolff responded. The book tour will continue on "CBS This Morning," "Morning Joe," the PBS "NewsHour," the "Late Show with Stephen Colbert" and other shows Monday. Other books are also benefiting from all the attention. Randall Hansen, author of the nine-year-old book "Fire and Fury: The Allied Bombing of Germany," tweeted that his sales "have increased." Presumably, some people ordered the wrong "Fury" book by mistake. Two upcoming books that are deeply critical of Trump -- David Cay Johnston's "It's Even Worse Than You Think" and David Frum's "Trumpocracy" -- have also seen upticks in pre-orders in recent days, according to Amazon's data.